[toc]Hypothermia happens when the temperature of the body falls below 35º C. Severe hypothermia can even be fatal, if medical treatment is not provided immediately. An individual may not experience hypothermia only in subzero temperatures, but can also happen in temperatures range from 0 to 10 C. Hypothermia can be the result of being immobile for long like in bed resting patients of stroke or under medications of specific medical conditions. Certain situations that lead to hypothermia include being soaked in cold water for long period, remaining in wet clothes for excessive time, lying immobile on cold surface in cool air or exposure to severe cold conditions. Major symptoms are pale skin, feeling cold, drowsiness, shivering, dizziness, slowed breathing, dilated pupils and slurred speech. Follow the COLD (cover, overexertion, layers, dry) measures during the cool season. Wear hat or other covering to prevent escaping of body heat from head, neck and face. Hands should also be covered with mittens instead of gloves, during the cold weather as mittens are much more effective as they keep the fingers together in close contact. Avoid overexertion by not indulging in activities that cause excessive sweating as combination of coldness and wetness, post sweating causes body to lose great amount of heat. Make use of loose fitted, light weighted and layered clothing. Outer clothing made of water repellent material and woven tightly is good for protection from cold breeze. For inner layers choose woolen over cottons as it aids in holding body heat in a better way. Keep yourself completely dry as much as possible, especially feet and hands as it is easier for moisture to get absorbed in boots and mittens. For children, additional one layer of clothing should be worn and limit the time they spend outside in the cold. Children must keep warming themselves in between to prevent any cold strokes. While one is going to remain in cold weather for long, one should not intake alcohol. Moreover, if one suffers from bloating, he/she should avoid consumption of alcohol, before going to bed during cold nights. Improper timings of alcohol consumption will do more harm rather than providing warmth to the body. 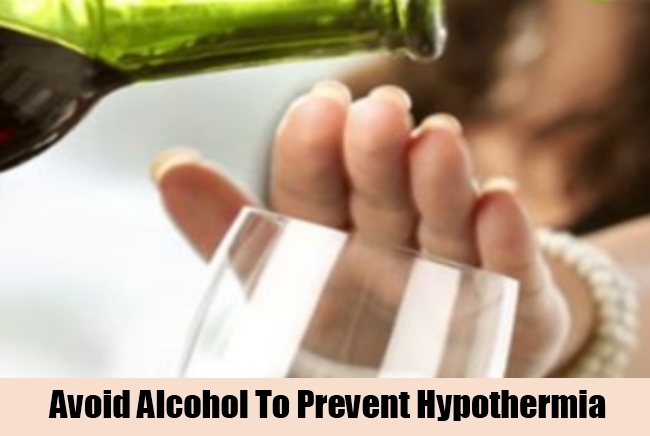 There are many alcohol consumption related risks of developing hypothermia. 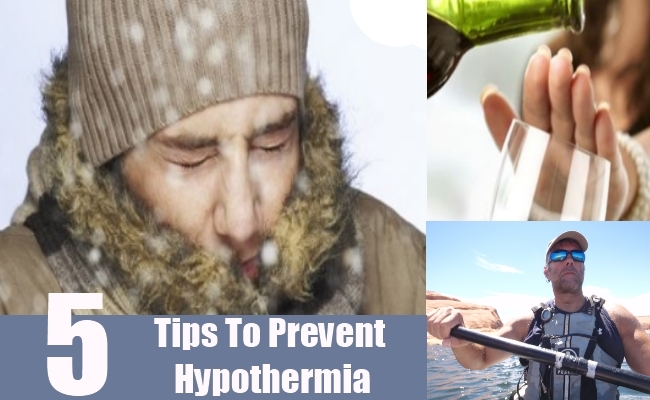 Prevention of the possible risk factors will prevent one from hypothermia. 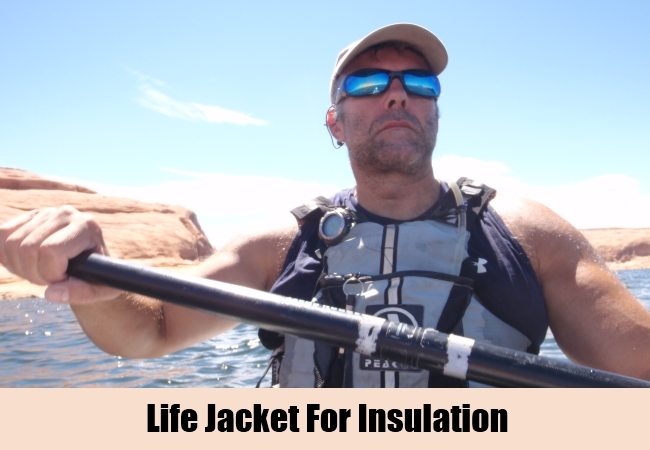 Wear a life jacket while going for ride on a water craft as it aids in keeping one save for longer duration in cold water assisting one to float without using body energy and offering insulation from coldness. A whistle must be attached to life jacket to signal others for help, in case of trouble. When fallen into the water, it is crucial to try to get hold of some floating object till some help is received by you. Never attempt to swim unless you see some boat or help around as it utilizes the body energy and warmth, risking one towards hypothermia. 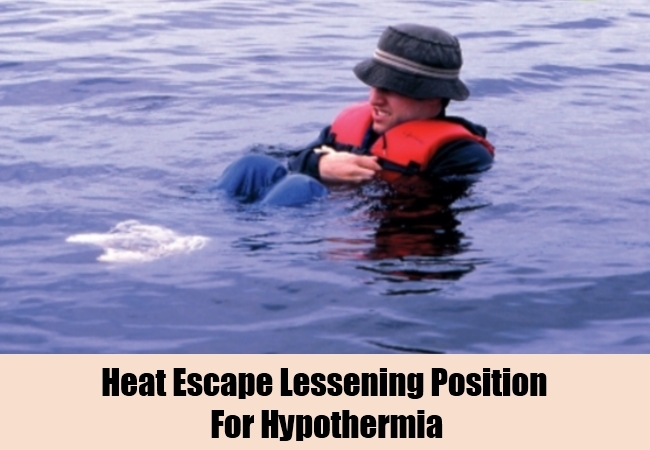 When an individual falls in cold water and need assistance to come out, he/she should take a HELP body position to lower loss of heat, while waiting for some help. Hold the knees to chest in order to protect the trunk from direct contact of cold water. Those, who are wearing a life jacket that turns the face down while being in HELP position, should bring legs together, head backwards and arms to each side, to protect them from cold. This minimizes loss of body warmth and increases the survival time. Never remove any clothing, always buttoned up or zipped your clothes and cover the head, if possible. Clothes should be removed after coming out from the water only. Always keep emergency supplies like matches, candles, blankets, canned food, opener and a first aid kit for troubled times, when one needs to keep the body warmth from chilly winter weather. In case one gets stranded, remain in the car, huddled together and remain covered. Make sure to keep a window little open for fresh air and exhaust pipe unblocked from snow, while the car is running. Try to call for some assistance and keep yourself warm till that time. Moreover, adequate amounts of fluid should be consumed with proper diet, spaced at regular intervals to provide continual warmth to the body. While working physically, regular breaks need to be taken to avoid physical fatigue. 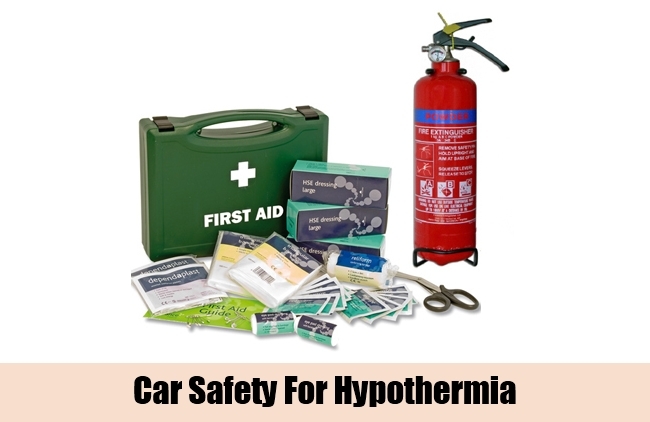 First aid for hypothermic patients is to keep the person still and warm, without any rubbing or massaging.